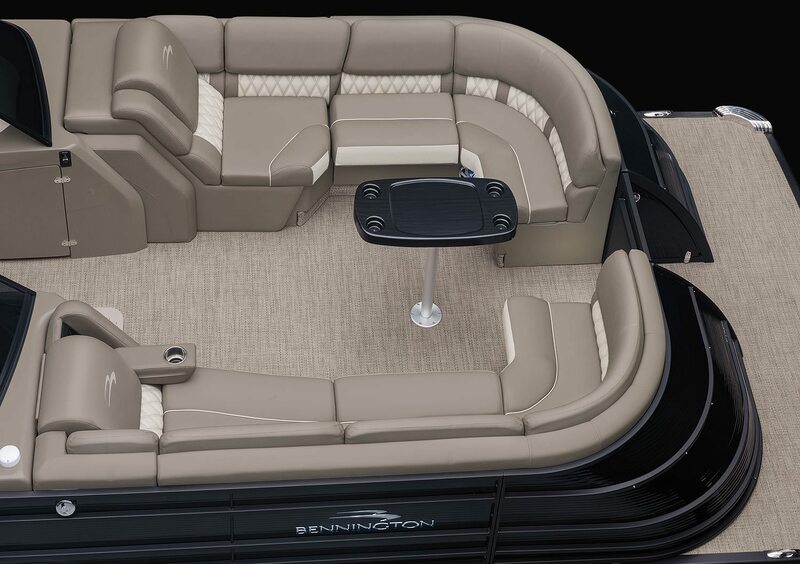 Pillowtop furniture shown in Driftwood Simtex with Perforated Sandstone accents with diamond stitching. 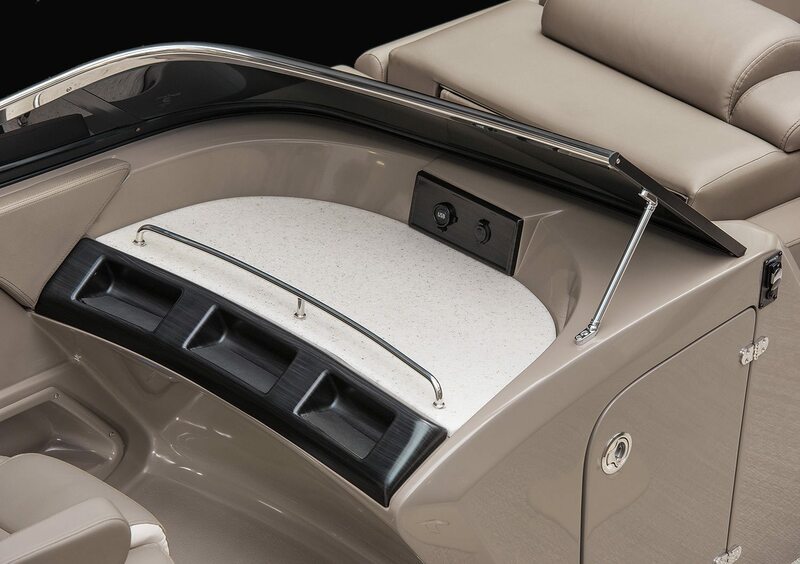 Fastback Aft with Rear Facing Speakers with Stainless Steel Gate. 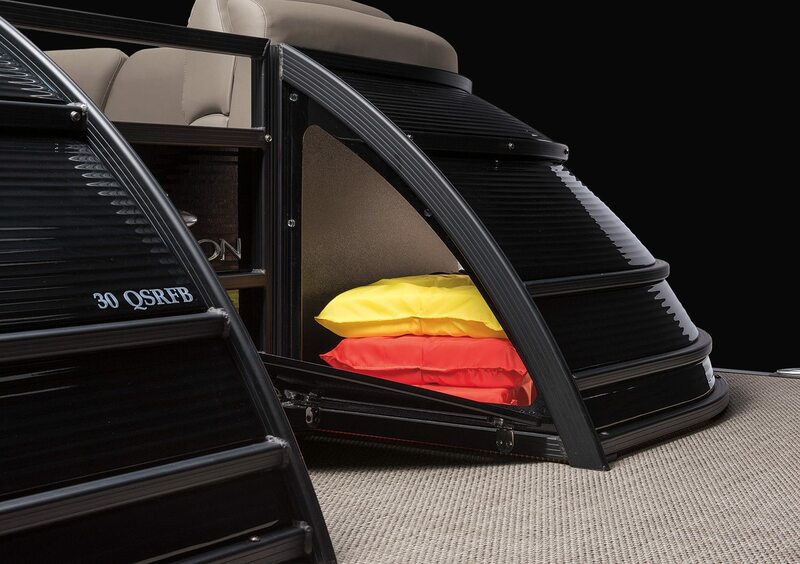 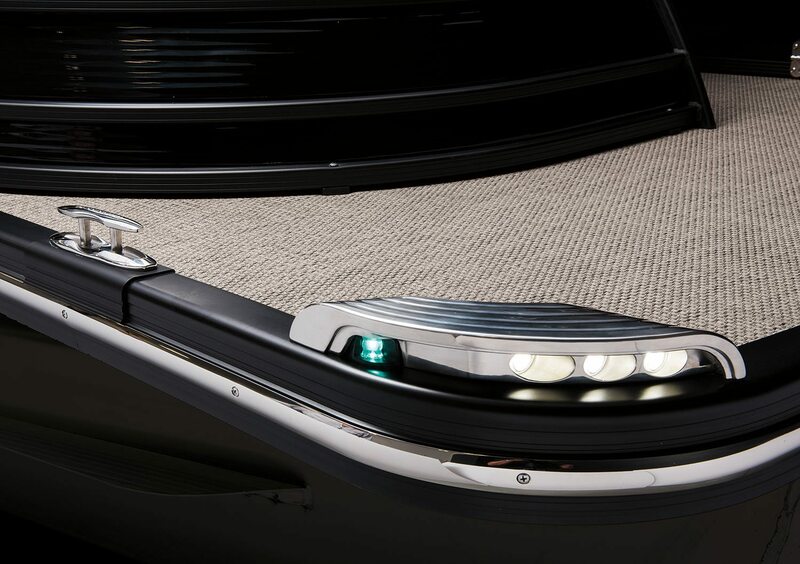 Shown with optional Roswell Speakers with RGB Illumination offering a user selectable 13 colors choices. 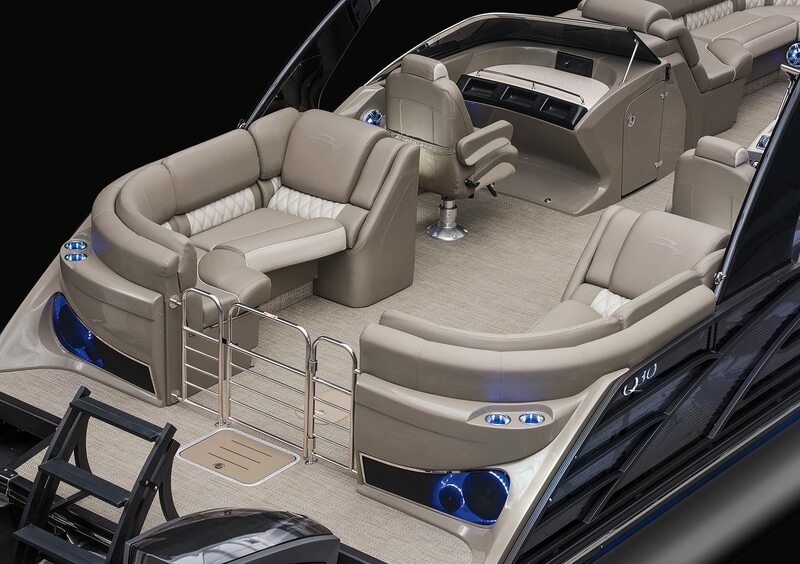 12-Volt outlet, auxiliary audio jack, and USB ports are standard. 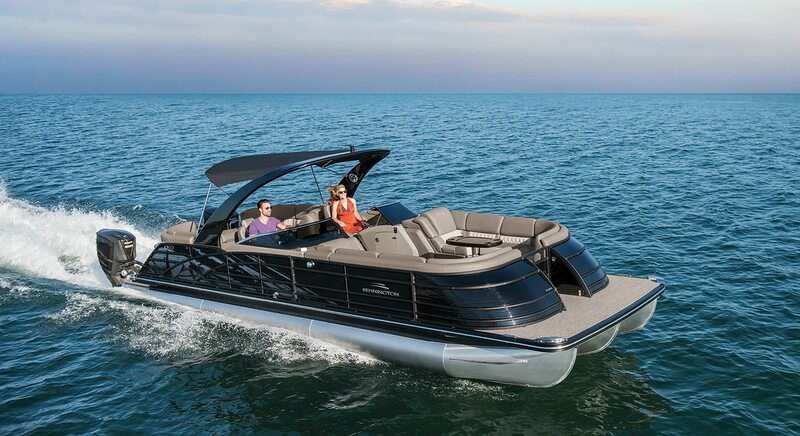 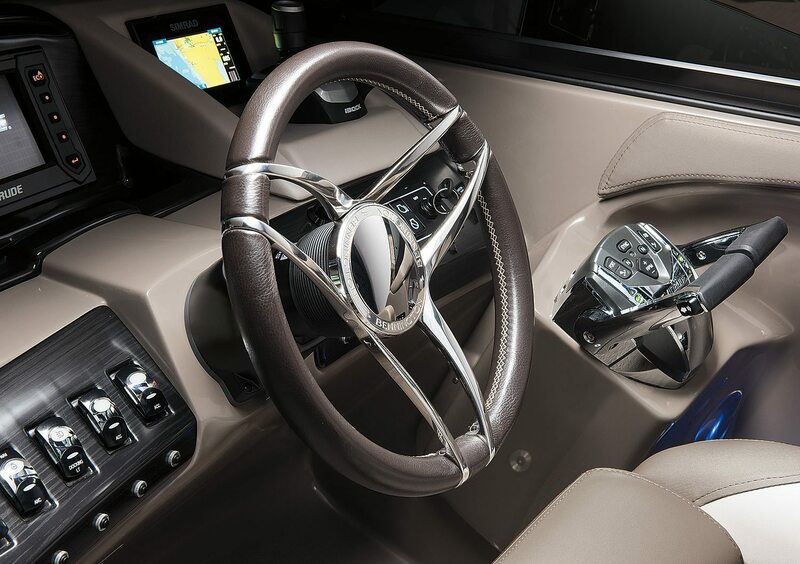 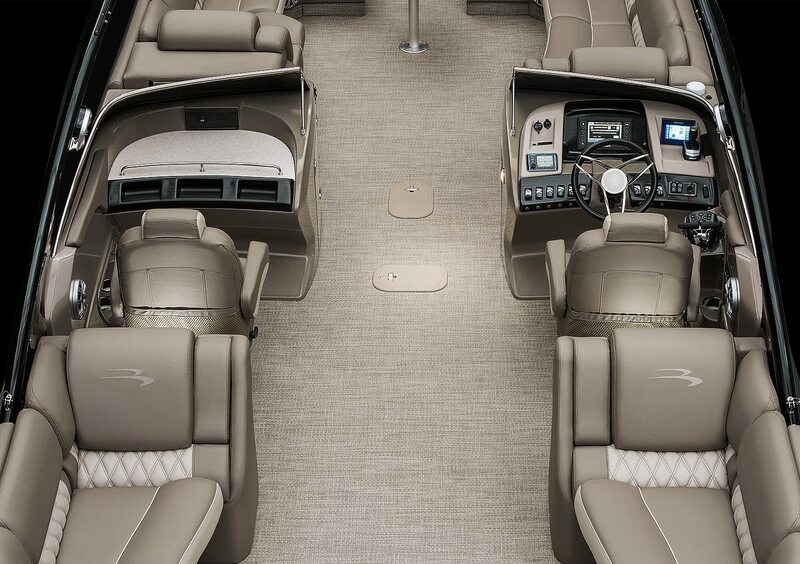 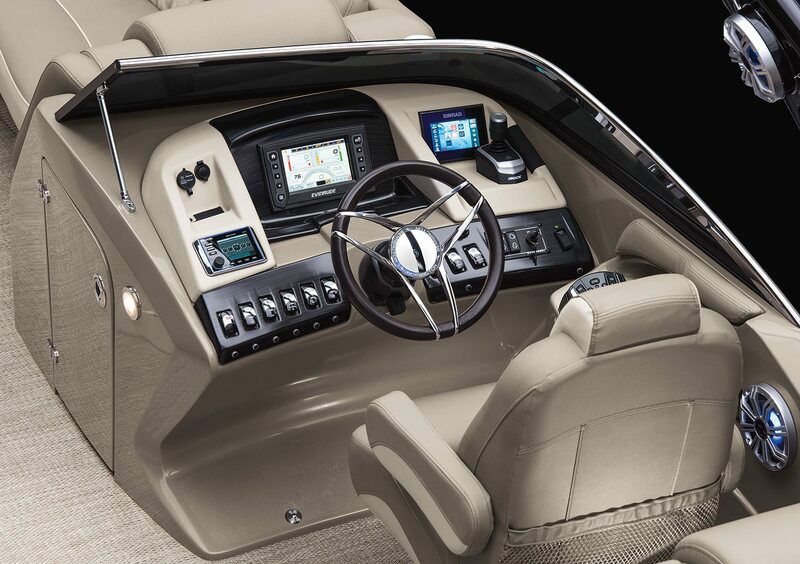 Shown here with the optional Simrad touch-screen fish/depth finder with GPS. 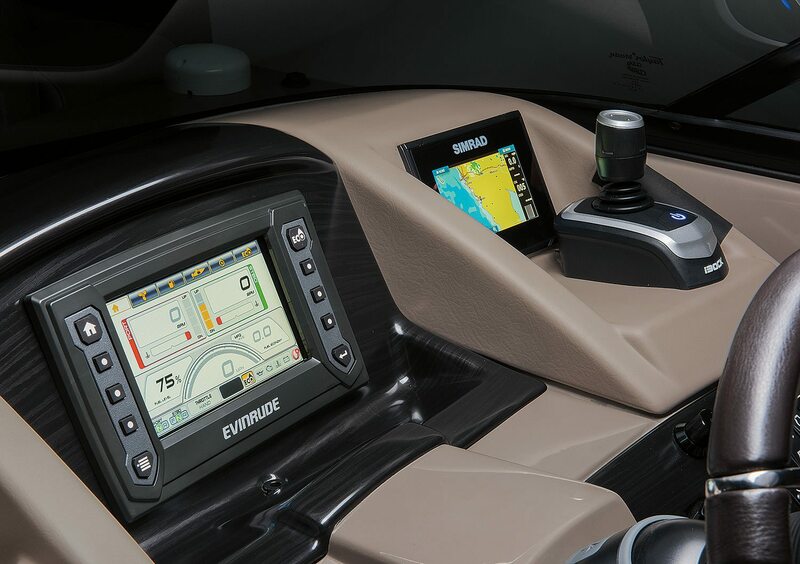 BRP's Evinrude Icon™ Interactive Control System with a Touch LCD Screen & iDock Joystick Control is optional. 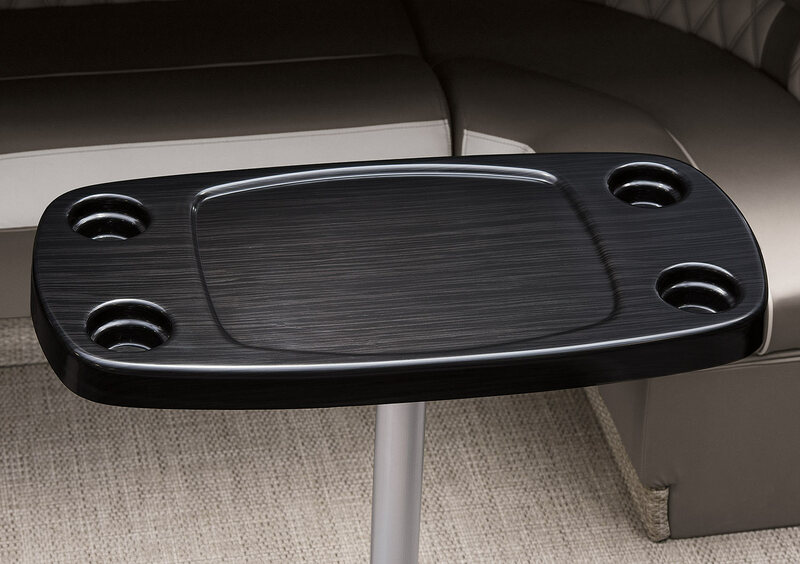 12-volt power plug, solid surface counter top, and USB ports are standard. 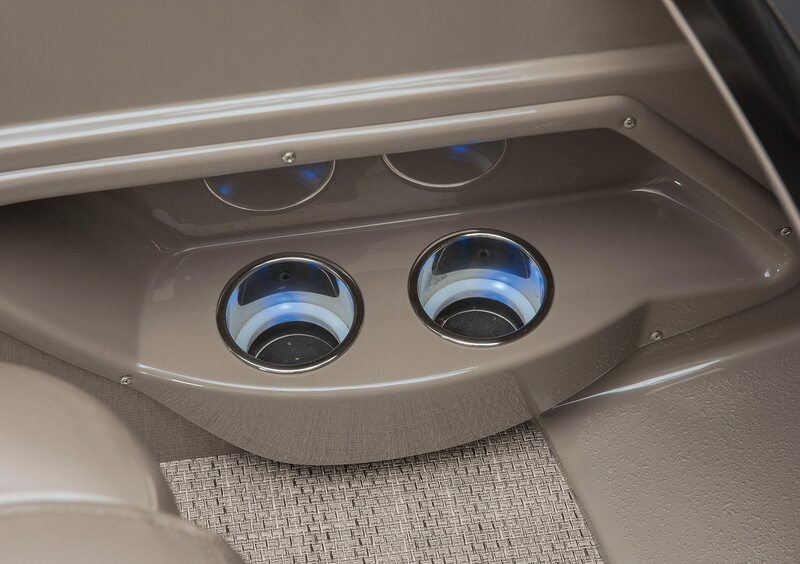 Co-Captain's cup holders shown with RGB lighting. 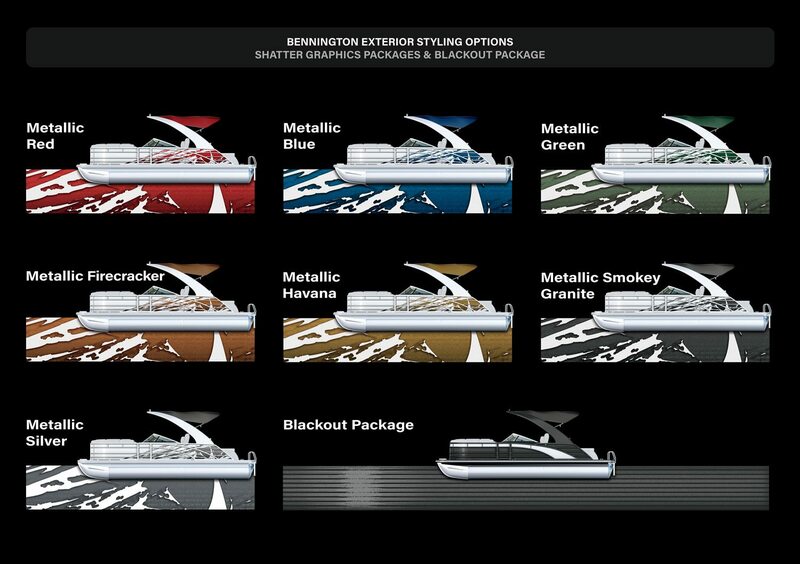 Select between 13 colors to match your mood. 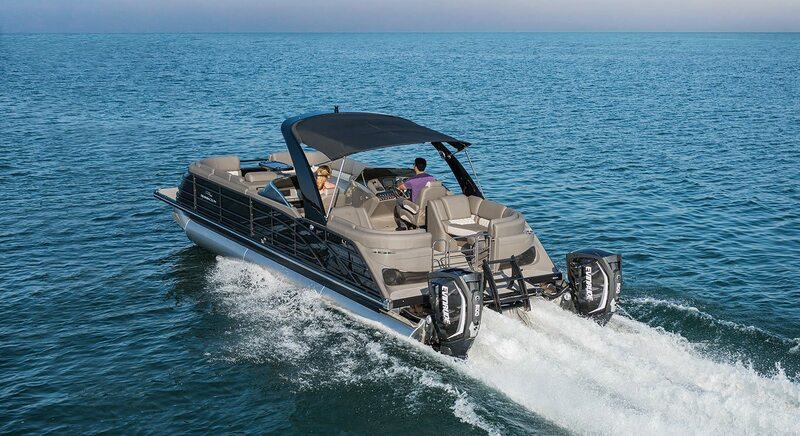 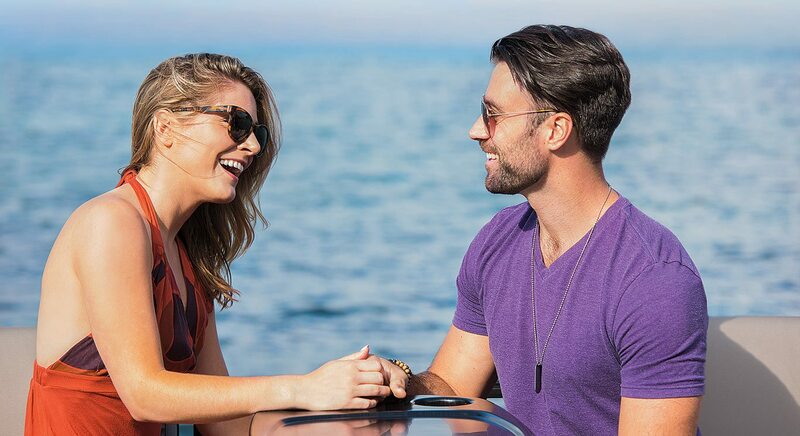 When building you Bennington you may choose from the widest selection of engines manufacturers and models from 25-400 horse. 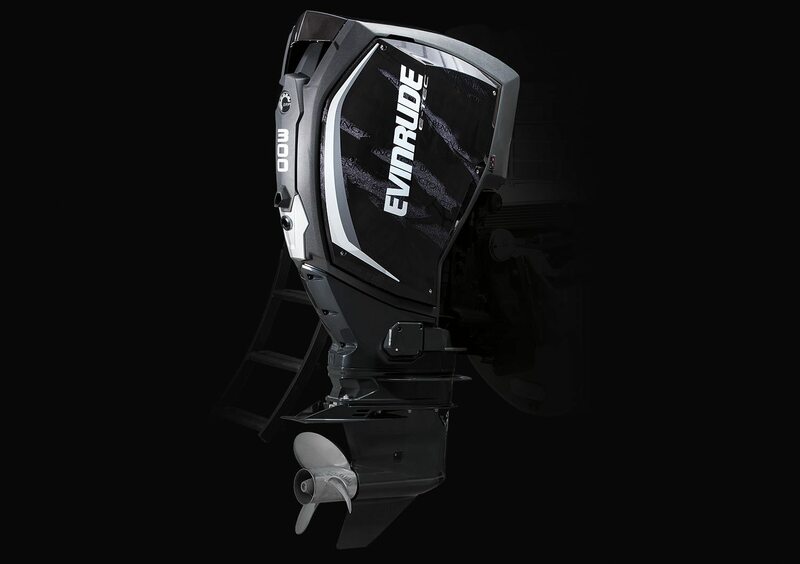 Shown above is a 300 HP custom painted Evinrude engine with Metallic Silver Shatter styling.